Beautiful, Msgr!! Bring back the black vestments…it should have a somber tone. Not “dark,” but somber. The beginning of Peter Kreeft’s book “Love is Stronger than Death” makes a great case. Death is bad – it’s loss, its our punishment for sin, it was never meant to be this way. We have to be honest and truthful about death: first call it what it is. It’s only then that we can get to the beauty of the resurrection and eternal life. In a beautiful requiem ones feels free “to call it what it is,” so to speak…to mourn the loss of the loved one, fervently pray for the soul of the faithfully departed, remember the poor souls in purgatory, consider ones own mortality, and finally, hope in the infinite mercy of God and meditate of His resurrection and His promise of salvation – these are the things the traditional requiem evokes. It’s a deeply spiritual experience. You know its interesting, when ever I wear black vestments, people are not “upset” or “insulted” as my seminary professors said they would be. Rather they usually say, “Wow those are beautiful Vestments Father, why don’t you wear them more.” I think you are right, black is not so much a color of sorrow or fearful depression, it is a color of sober formality, as in “Black tie dinner” or “black formals” It shows honor and significance being ascribed to the event in question. From the comments of blogging priests, it’s apparent that seminaries were/are terrible spiritual battlegrounds. I thinks are much improved. The Vatican investigation of the early 1990s had salutary effects and most Seminaries are solid today. Great post! Nearly a year ago, my grandmother passed away. As a seminarian at the time, I was fortunate to know about the Graduale Romanum and the texts that it provides for Masses through the year and for special occasions, such as funerals. The funeral Mass was a Novus Ordo Mass, but we had a small schola chant the Requiem Mass setting, including the Graduale instead of the Responsorial Psalm. Everyone, and I mean everyone there commented on how beautiful and consoling these “dark” pieces were. With respect to vestments, I had thought that there was an order of preference: black, purple, white. Is this the case? Is there anything in the Liturgical books that mention anything along these lines? Not to mention that people will often come up and say,” Have you lost wieght? You are looking good.” when you wear black. Well, like Fernando always say, ” It’s better to look good than feel good, and yooou look marvelous!” I always preferred the Traditional Latin Requiem Mass when attending funerals and it had nothing to do with the color of the vestments. I am sure the visual effect is impressionable but it is the substance of the ceremony that makes it an outward sign instituded by Christ to give grace. So much for spell check. (weight); (instituted). Sister Mary Benedict, my third grade teacher is probably rolling over in her grave right now. But that’s another story. Igloo, Igloo, Igloo, Igloo……. Again thank you Msgr Pope. How well I recall my mother’s funeral Mass 53 years ago. The great comfort and hope it gave to me and my family. Requiescat in pace! Thank you for this series about the Requiem. It is indeed one of the Church’s most elegant and meaningful liturgies. It is no wonder that so many composers created beloved musical settings of this rite. I am pleased that the older form has undergone a resurrection (pun intended). My father was the son of a Methodist minister and widowed soon after the three older children were born. My mother, his second wife, was Catholic so the five siblings were a mix, 3 Methodists and two Catholics. When my mother died in the 1990’s, Msgr. Kirk celebrated a full Tridentine Requiem. He knew the family history well and the rite was punctuated with interpretations, translations, and history. He involved all the grandchildren in the draping of the pall and the bearing of the casket to the transepts. The Dies Irae was given special attention with a sketch of its history from a Medieval Advent sequence to its inclusion in the Requiem, calling it one of the Church’s most wonderful hymns of anticipation and hope. My Protestand family members still talk about that meaningful rite. It opened many eyes. My father laughingly called his father a “closet Catholic”, an assessment that is pretty spot-on. My grandfather, a potent force in my spiritual development, once commented that it was a tragedy that most Protestant churches had ignored the meaningful and beautiful Requiem. . I want to say “I look forward to attending a Requiem Mass in Latin” but it just doesn’t sound good! However, I agree that any Mass that is said with reverence and according to the “rules” is beautiful. Last week’s Requiem Mass at Georgetown University in memory of the deceased Jesuits was sober but hardly somber. The homily (not unlike this column) gave thoughtful perspective; the congregation, though small, was engaged in the liturgy. One even of my (sometimes bizarre) post-Vatican II formation has no reason to doubt that there were bad old days. Especially in big churches where the congregation might have been discouraged from actively participating in the Mass, alienation of at least some of the clergy and laity alike isn’t hard to imagine. And, to be sure, for one reared on the Novus Ordo, the Tridentine form is an acquired taste, but for me it’s been one worth acquiring. 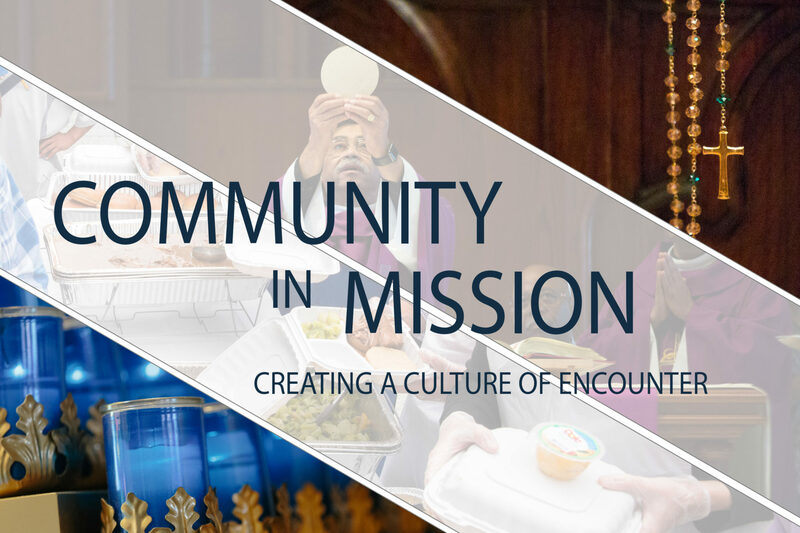 I pray that the intimacy and gravitas of what I was privileged to participate in at Georgetown — and almost always experience at Extraordinary Form Masses all around the Washington, D.C., area — may be reprised in parishes throughout the land. It is interesting that most novus ordo funerals feature a priest wearing white vestments talking about how the deceased is already in Heaven, while the congregation wears black clothes with a black hearse parked in front of the church. At a wedding, the bride wears a white dress and the limo is white. At a baptism, the baby wears a white gown. Imagine if the congregation at a funeral wore white, and the bride at a wedding and the baby at a funeral wore black. Sometimes the Sensus Fidelium makes a lot more sense than the Bizarro World that has come as a result of the inversion of everything considered good and holy before the mid-20th century reforms. Hence, a continued growing interest by younger Catholics (hello, Juventutem!) in the traditional Latin Mass and the customs and disciplines in place before Vatican II. Hopefully they are supported by their priests and bishops and the trend continues. I attended a solemn Requiem mass for All Soul’s Day this year at St. James Cathedral in Seattle. The church was packed to overflowing. I am not a regular TLMer, but I must say this was one of the most spiritual, prayerful masses I’ve ever experienced. I went to two funeral masses in the last few months and the celebrant wore white both times, not black or green. In fact, I have been in the sacristy many times and I can’t recall even seeing a black vestment hanging in the dressing area. Now, I happen to know the older priest in question is not fond AT ALL with the revised translation of the Novus Ordo and eschews any idea of the Tridentine Mass being said in the parish, but should not the funeral mass be celebrated either in black or purple? Is there an option for white like masses for martyrs? I went to two funeral masses in the last few months and the celebrant wore white both times, not black or purple. In fact, I have been in the sacristy many times and I can’t recall even seeing a black vestment hanging in the dressing area. Now, I happen to know the older priest in question is not fond AT ALL with the revised translation of the Novus Ordo and eschews any idea of the Tridentine Mass being said in the parish, but should not the funeral mass be celebrated either in black or purple? Is there an option for white like masses for martyrs? How were you selected to be one of the few (rare and much priviledged) to celebrate the Extraordinary form back in the days of Quattuor abhinc annos? It was a combination of skills, I knew Latin and could sing, and luck, my home parish was one of the three parishes where the TLM was “allowed” under the first two indults, so I had already come up thru the ranks in my seminary years. If the old Latin Requiem is so dark and depressing, as some have argued, then why is it so popular? Thank you for this look at the beautiful prayers of the Requiem Mass. As a priest who also has offered both forms of the “funeral” Mass (and certainly the OF much, much more frequently), I hope that you will permit me to disagree with you on one, crucial point, viz. on the issue of whether the OF Funeral Liturgy is intrinsically flawed. Now, please allow me to be clear that I am not saying that the OF Mass is invalid or any such stupidity. Rather, I want to assert that the imbalance that many, many Catholics experience at these liturgies is, to a significant degree, due to the prayers in the rite itself. Certainly, I agree that poor (even sinfully poor) formation was given to priests for many, many years in Seminary (and, on that score, I agree that things are better but they are not, I would say, solid). However, I think that a similar comparison of the (endless) options for prayers in the Funeral Liturgy would bear out my point, that the prayers themselves do not strike the correct balance. Indeed, I remember going through the famed “Praenotandae” in Seminary and, after reading the section specifically focused on the benefits expected for the dead (nn. 18-20), there was NO mention of suffrage for the repose of their souls! My point is not to “pile on” the OF, but rather to express my view that your characterization that the New Form is “not intrinsically flawed” is perhaps mistaken. The flaw to which I refer is the same flaw that Cardinal George wrote (cf. Cardinal Reflections, Hillenbrand, 2007) applies to the NO as a whole: it suffers from the influence of Enlightenment Rationalism and (ironically) Sentimentalism. Again, what I am referring to is the flaw that comes from imbalance and incompleteness, not an invalidating one. Set side-by-side, it is hard to see how the Requiem Mass is not a more complete expression of the Catholic doctrine on death, the dead, Judgment, Purgatory, and Christian hope for Heaven. Fr. Ben, I am only a lay man with no theological training, but that is the impression I too receive from the Mass of Christian Burial in the N.O. It is certainly the common sentiment. Every month my parish’s purgatorial society sponsors a Solemn Requiem for the souls of the faithful departed. I am very pleased that our corps of altar servers is so well trained in this variant of the EF. Though I do not expect to die soon, I very much hope such a liturgy will be possible when my need arises. Tomorrow I am to MC at a Solemn Requiem in the EF, for a priest in a neighboring diocese, who died too young. We are meeting tonight to plan liturgical details. I’ve never before been present (much less served at) a Requiem for a priest. I trust this one will be memorable and consoling. A great many priests from near and far are expected, and I think the greatest tribute we can achieve for our departed friend will be a competent, dignified liturgy that’ll make other priests think “we need to get this for our parish”. Monsignor, did you preach death, judgement, heaven, and hell straight out of the seminary, or was it a gradual thing, or did something happen that made you feel compelled to start preaching them, or something else? A little of both. I came out concerned that no one ever mentioned Hell etc any more. But I developed the come to Jesus talk more as I went since I became increasingly concerned that so many at funerals were unchurched. The Latin Requiem Mass according to the 1962 Missal is the most profoundly beautiful thing I have ever experienced. Thank you Msgr. My wife and I had the privlege to sing at two Requiem masses during this past octave of All Soul’s day. The first at our home parish and the second by a newly ordained priest from our TLM community at his new parish. We became Catholics four years ago and are being catechized and enlightened by this mass and the TLM and are grateful for the priest’s who offer it. While this is still on the subject of funerals… I have a question concerning the Church’s tradition when there is a burial. Does the priest still accompany the decessed at the grave and what are the prayers being said. I’m sorry if this question seems out of today’s particular subject. I won’t mind being answered some other day, I read your posts regularly. To be more clear, I’m not sure about the particuliar case of the burial of the ashes. Does it require the presence of a priest for the last prayers and blessing? First, great post, Monsignor, and well needed. I heard about a woman in Indiana who requested black vestments, beautiful/traditional sacred music, etc., for her funeral Mass. After she had passed, her family communicated these wishes to her mother’s parish and was informed, “Sorry, we don’t do anything that is pre-Vatican II.” That’s a basic paraphrasing of what the family was told. Second, this video looks as though it was recorded at St. Peter Church in Steubenville. It was my parish for a while, and I’d almost put money to it. Beautiful music. Why must we have “Eagle’s Wings” and not this sort of thing? Novus Ordo or TLM, it all depends on how carefully it is celebrated, and whether the Church’s rubrics are taken into account. When I was in about the 6th grade, I was taken to our cathedral for a solemn pontifical Requiem Mass for Cardinal Stritch (he was our bishop in the 1920s). It remains to this day one of the most beautiful liturgies I ever experienced. I have also been to Novus Ordo Masses of Christian Burial that were carefully celebrated with classical hymns and a homily that stressed the Paschal Mystery. On the other hand, I have been to TLM Requiem Masses that were done mechanically with a sense of “let’s get this over with.” And I have been to Novus Ordo “celebrations of life” that had everything but a circus parade. So for once, all of Msgr. Pope’s correspondents are right. Thank you for the image of the Blood of Christ. I have already said in a previous post that my most memorable funeral Mass was the sung requiem which we sang for the late Pope Pius XII and that I would dearly like to have something similar when my own time comes. I am one who has read almost all of Eamon Duffy’s books which deal with the Reformation period of history in England. One of those books is called “The Voices of Morebath” which deals with the life and times of a priest in the village of Morebath going through the changes which took place under Henry VIII, queen Mary and queen Elizabeth I. So we have periods of Catholicism, Protestantism, then Catholicism again, and back to Protestantism. The priest “Sir Christopher Trychay” (pronounced ‘Tricky’) kept diaries of these events and he wrote of the effort which he had, to raise enough money to buy black cloth to have vestments made for him, only to have black vestments banned, then re-instated, and then banned again! All priests were called “Sir” in those days. It was later that they were all called “Mr” and much later still, they became “Fr”. As another aside, which perhaps is not general knowledge. I did confess to having been a seminarian once. The seminary which I attended was “The English College” in Lisbon, Portugal. It no longer exists, having been closed and sold off by the Bishops of England and Wales. It was one of those overseas seminaries set up to provide training for the priesthood during penal times when such establishments were totally forbidden in England. Hence we had a few traditions which harked back to those times. In my comment above I referred to the priest as “Sir Christopher Trychay”. We kept the tradition of referring to our lecturers as “Sir”. We did not call them Father or Monsignor. You all may be interested to know that the Schiller Institute will present “A Remembrance of President John F. Kennedy and Recommitment to the Principles of His Presidency, Featuring a Performance of W.A. Mozart’s Requiem in D minor, K. 626” on Friday, November 22, 8:00 p.m., at St. Mark Catholic Church in Vienna, Virginia. The concert will be performed by the Schiller Institute Chorus along with an orchestra and soloists assembled for the occasion by the Schiller Institute. The performance will be at the natural Verdi tuning of A=432 Hz, in keeping with the Schiller Institute’s decades-long campaign to return to the tuning which has been demonstrated to maximize the beauty of the singing voice and of fine musical instruments. Admission is free: first come, first seated. More information can be obtained at: [email protected], or (703) 771-8390. For directions to St. Mark Catholic Church, see http://www.stmark.org/directions/. The Dies Irae is one of the greatest hymns ever written. It has found its way into numerous classical works, including Hector Berlioz’s Symphonie Fantastique. It’s too bad that the current Catholic funeral rite no longer includes this hymn. Doesn’t the motu proprio say the Mass was never abrogated, always permitted, and no priest ever needed special permission to offer it? Yes, but we didn’t know that then, back in 1984 and 1988. When I was ordained in 1989, we didn’t know that. Fascinating review of the traditional Requiem….points up some of the problems and faulty implementation of Vatican II’s liturgical reform per Sacrosanctum Concilium (SC) – its 50th anniversary on 5th Dec next. Among issues (Irish perspective) in contemporary funeral masses are extravagant eulogies and a la carte music. Pope Emeritus Benedict XVI had little option but to re-launch the so-called Trid. Rite as something of a liturgical lifeboat as the Novus Ordo has become fractured and unsure of itself. In fairness over the 50 years society has become markedly more secular (more wordly) and that influence has overpowered much liturgy swamping the sacred. Last Sunday BBC Four TV presented a splendid programme ‘Requiem’ surveying the settings of the Req. Mass over many centuries – apparently some 5,000 known settings! Plain chant featured as the central voice of church music; indeed SC noted that chant “should have pride of place” – have you noticed this in present practice? Thanks Mgr Pope for thought provoking articles. I agree we lost a lot of the majesty of the mass when it switched to lingua franca. But why wasn’t the latin transcribed to english or french or whatever? I have sung in chorus’ and even while singing latin, it would have been nice to have translations throughout. Prayers were translated why not music? I remember attending daily Mass in the 40’s and 50’s when every Mass was in memory of some deceased person. The antependium on the altar was black with a skull and crossed bones on it. (As a child I had often thought it would make a great pirate’s flag.) Although the Dies Irae is a great work of art hearing it so often made it seem trite. There was no recognition of the liturgical year. When the priest came out in black vestments, the Mass became routine and uninspiring. Perhaps today, for funerals the black vestments and oid liturgy would be novel and truly aoppreciated..